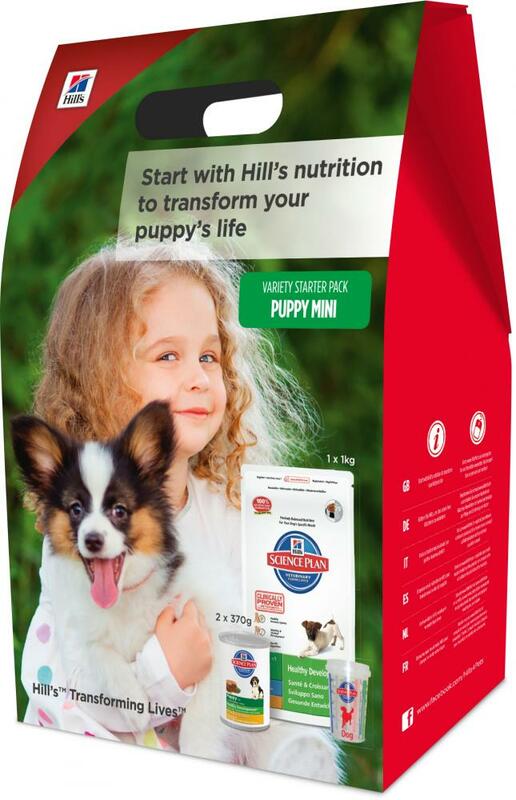 The Hills Science Plan Puppy Starter Pack contains both wet and dry food recipes for your new addition to try out. The kit contains a 1kg (or 900g for the large breed variety) bag of Science Plan Healthy Development Chicken Puppy food, as well as 2 x 370g cans of the wet variety. You also receive a measuring cup so you can ensure you are feeding your puppy the correct amount right from the start. - Dry = Chicken: Maize, chicken (34%) and turkey meal, animal fat, digest, maize gluten meal, dried beet pulp, flaxseed, minerals, fish oil, vitamins, trace elements and beta carotene. With natural antioxidant (mixed tocopherols). - Wet = Chicken: Chicken (29%), maize, barley, soybean meal, pork liver, minerals, fish oil, vitamins and trace elements. Coloured with iron oxide. Below are some recent questions we've received regarding Hills Science Plan Puppy Starter Pack, including answers from our team. I have a Bullmastiff 4 month old puppy .I need to add this food for hismeals .problem is he not use to eat puppy foods so I need to make him use to eat this food .please be kind enough to give me a solution. 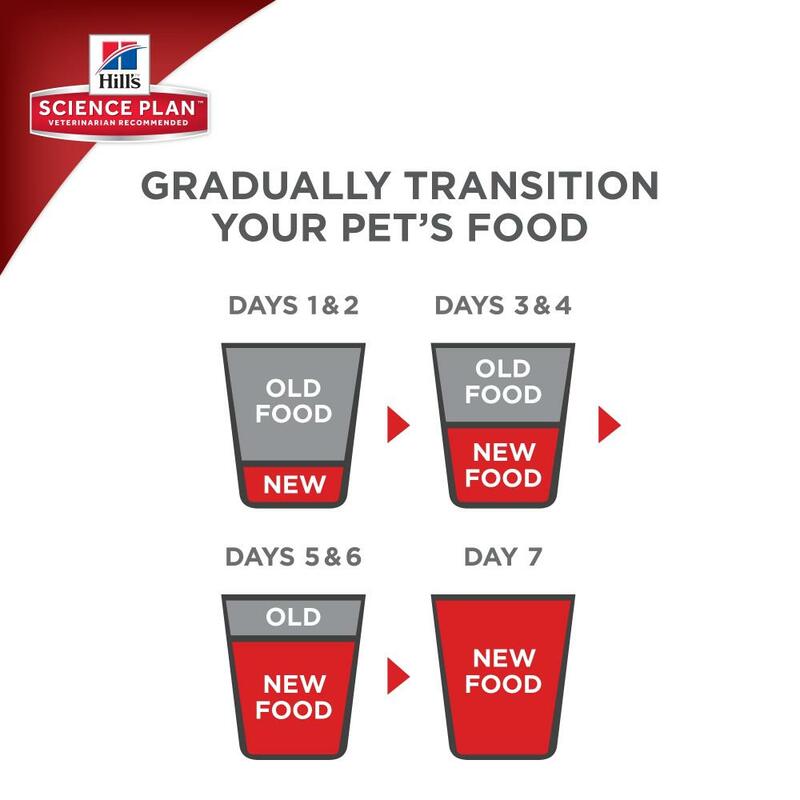 When starting on a new diet, we would suggest starting off by adding a small amount of the new food to the normal food that you are currently feeding and slowly increasing the ratio of new to old food each day until they are exclusively eating the new food over a period of about 5 days. This will help avoid any upset to their system by changing their diet suddenly.